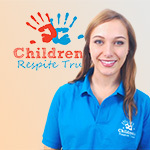 The Children’s Respite Trust is always looking for volunteers to assist with the running of our Charity. From helping at events to being a chaperone for disabled children who need to get to their activities, every effort makes a difference. 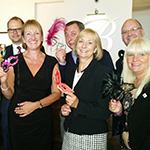 The Children’s Respite Trust’s team of Ambassadors are people who are proud to use their contacts, influence and time to raise awareness of the Trust’s work. Chaperones Registered Chaperones accompany children with disabilities to attend their activities. Event Committee All of the Trust’s events are organised by a committee of dedicated individuals. Caseworkers Caseworkers assist families to put a case to their local authorities, so that they can receive the statutory support that they need.